We love strawberries. 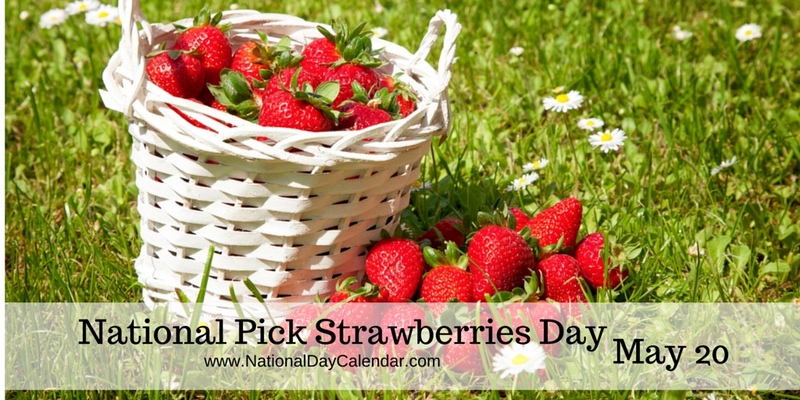 Today, May 20 is National Pick Strawberries Day. We may not pick strawberries, but we will certainly eat fresh strawberries! Did you know that strawberries are the only fruit with their seeds on the outside? Wow! The only one! This entry was posted in Holidays, Uncategorized and tagged Colorado Traveling Ducks, National Pick Strawberries Day. Bookmark the permalink. It is unusual to be the only one. We love fresh strawberries. Thanks for reading and commenting. In our garden, it’s a race to get to the strawberries before the lizards do. They take one bite and leave the rest. We have a few strawberry plants, but the birds and squirrels like to take a bite about 2 days before I think they are ripe. So most of our strawberries come from the grocery store. Maybe you need to do what we did and cover them with netting.